Join us for the Spring at Jordan event, the annual celebration of Jordan Chardonnay and Cabernet Sauvignon new vintage releases, hosted on the Winery Chateau lawns. Spring at Jordan will not be held in 2018; Jordan Estate Rewards 10th Anniversary Dinner will be hosted instead. 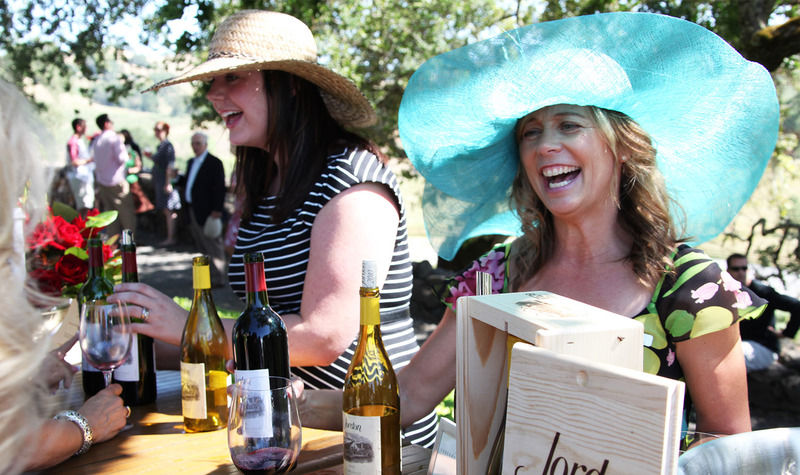 Hosted annually, the Spring at Jordan themed party showcases Jordan Winery’s renowned hospitality with lavish décor, entertainment, new vintages and library wines, as well as delicious cuisine by our chef. The Winery Chateau and its sweeping lawns will be transformed to highlight our soon-to-be-unveiled theme, featuring elegant hors d'oeuvres and food stations, premier purveyors, and live entertainment—and both Chardonnay and Cabernet Sauvignon, of course. The 2015 Jordan Chardonnay and 2013 Jordan Cabernet Sauvignon will make their debut, as well as other wine surprises. Be sure to sign up for our e-newsletter to receive event announcements.